One of the most helpful systems in your vehicle is the on board diagnostic system. This system displays useful information about your vehicle and lets you know if there’s anything out of the ordinary you should take care of. These lights or messages should not be ignored, and they turn on for a reason and if left ignored can lead to serious and costly vehicle damage. Many times the problem is easy to fix, other times it can be an early sign of heavy damage, either way it is best to get it taken care of by qualified professionals. Thankfully, University Chevron is your solution. 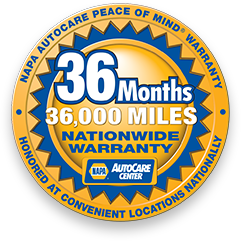 We’ve been serving the Fairbanks area since 1977, and our ASE Certified technicians work hard to provide quality auto service you can depend on. No matter the problem, we can fix it so call us, stop by, or schedule an appointment online today.